Workers’ compensation is often the best option (and only) options available to people who are injured on the job. Workers’ compensation programs provide no-fault insurance, which means you can benefits regardless of whether you were at fault for you accident. The trade-off for this kind of coverage is that you typically cannot sue your employer for on-the-job accidents. Workers’ compensation benefits will cover a portion of your lost income and your medical expenses related to your injury. It is designed to pay benefits quickly. Generally speaking, you cannot sue your employer for your injury or other losses if you collect workers’ compensation benefits. If you’re injured and unable to work, you may be able to claim disability benefits if you have disability insurance. Some employers provide disability benefits, but you can also buy your own policy. Sometimes a policy is provided through your union. If you don’t have disability insurance, you may be able to claim disability benefits through Social Security. You may be able to pursue both workers’ compensation and disability benefits, but it’s likely that your disability benefits will be offset by whatever you receive from workers’ compensation. Note that disability insurance pays benefits for injuries that were not work-related. Because disability and workers’ compensation benefits offset each other, many people do not pursue a disability claim if they are receiving workers’ compensation benefits. You also may have the option of filing a lawsuit against the responsible party for your injury. If you file suit, you are claiming that the other party’s negligence caused your injury and should therefore be held liable. 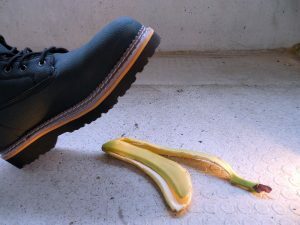 Some of the situations in which you can sue after an on-the-job accident include when the accident was caused by a third party’s negligence or when the accident was a result of your employer’s intentional conduct. Before making any decisions, you should talk to an experienced workplace injury attorney. With decades of experience, the attorneys at Slappey & Sadd work with injured workers in the Atlanta area and across the state of Georgia. We can help you understand your options and pursue the remedies that make the most sense in your case in order to get the compensation you deserve. Call us at 888-474-9616 or contact us online in order to schedule a free consultation to talk with one of our attorneys about your case.